Johnny Mercer was my father's best friend and became mine as well. 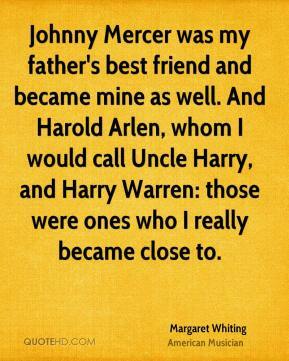 And Harold Arlen, whom I would call Uncle Harry, and Harry Warren: those were ones who I really became close to. 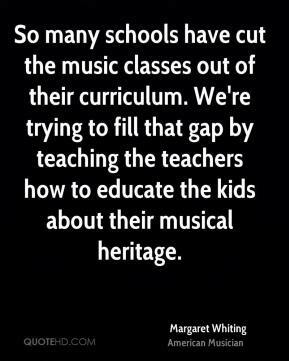 So many schools have cut the music classes out of their curriculum. We're trying to fill that gap by teaching the teachers how to educate the kids about their musical heritage. 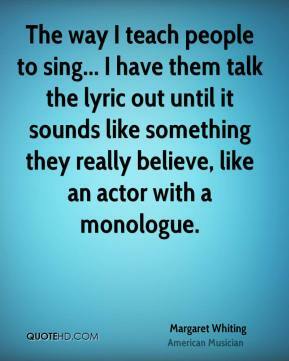 The way I teach people to sing... I have them talk the lyric out until it sounds like something they really believe, like an actor with a monologue. 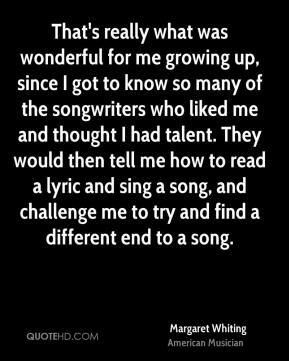 We teach young kids from 8 to 14 or 15 about their musical heritage through great songs written by American songwriters. 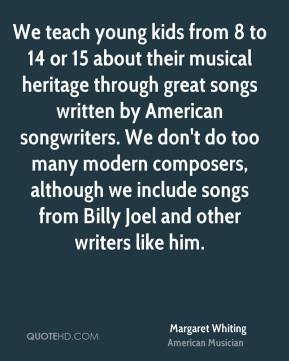 We don't do too many modern composers, although we include songs from Billy Joel and other writers like him.